Sidebar: We’ve played the game, it’s awesome. The artwork is truly spectacular, and apparently worthy of stealing, as Quirk Ford proved in its latest marketing material. Seriously guys, this is why we can’t have nice things. You may notice some similarities when looking at Quirk’s latest ad. Did I say similarities? I meant to say it’s the exact same thing. The dealership spokesperson was also quick to point out he’d never heard of the game. 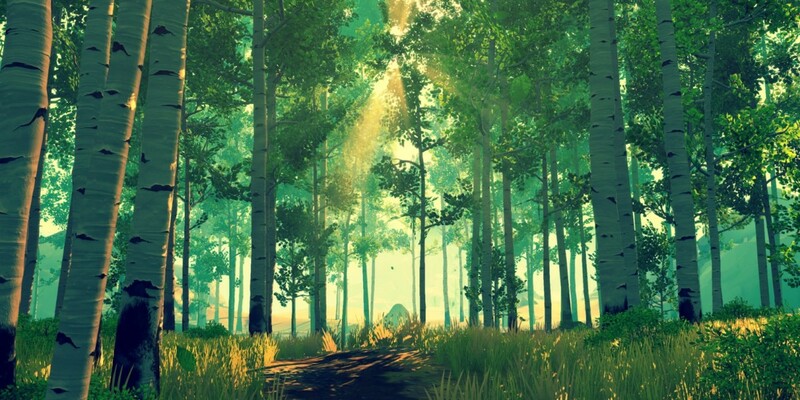 Firewatch creator Campo Santo’s co-founder Sean Vanaman told Game Informer that Quirk’s statement wasn’t accurate and that “the mailer actually includes elements from our old website that aren’t available on any wallpaper site.” Essentially Vanaman is saying Quirk better get some ice water, because its designer may or may not be the victim of a raging fire in his/her pants. While it’s never cool to rip off someone else’s work, it should be noted that Quirk did apologize to Campo Santo. It’s also worth noting that according to Chris Cannavo, manager at Quirk, the artwork came from Ford, not the dealership — a claim Ford denies. But, that didn’t keep Panic from having a bit of fun with the offending party. And just when you thought all parties had kissed and made up, there’s a new Ford ad that seems to borrow heavily from the artistic stylings of the game. While it doesn’t seem to cross the line into plagiarism, we’ll just say that the design team at Ford (and its dealerships) are obviously big fans of Campo Santo (and Firewatch).